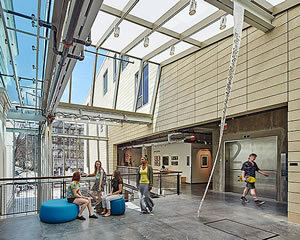 Space per pupil: 77 sq.ft. 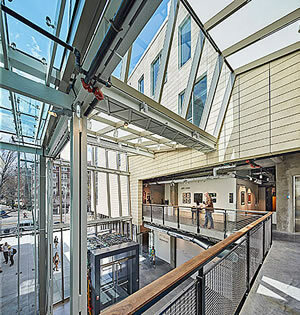 A center for the arts in Porter Square, the building is a bold new statement for Lesley University’s College of Art and Design. 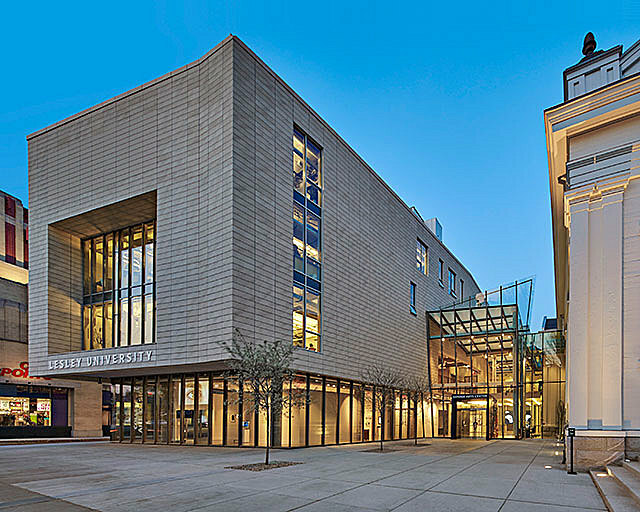 The design creates a dialogue between two buildings a century and a half apart — between nineteenth and twenty-first century architecture. 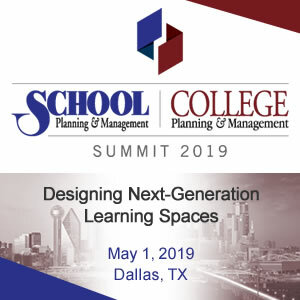 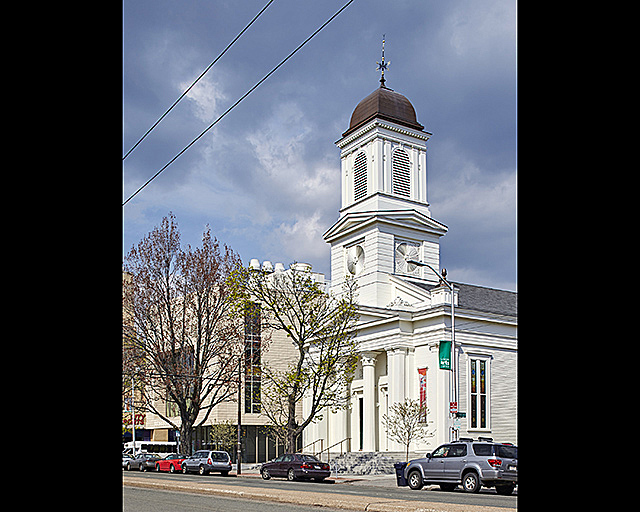 Attracting the academic, artistic, and area communities alike, it is a visible symbol of the convergence of past and present in a dialogue that is catalyzing a newly vibrant area of the city. 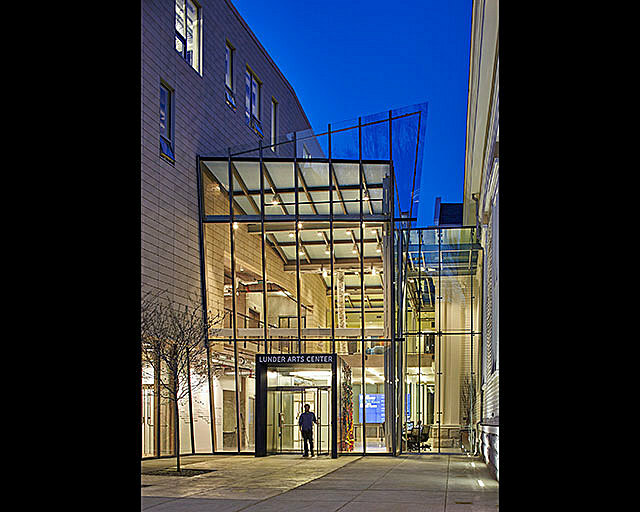 A multi-story glass Arts Commons links the reimagined church structure to a new terra cotta and glass building, opening a dynamic window into Lesley’s arts community. 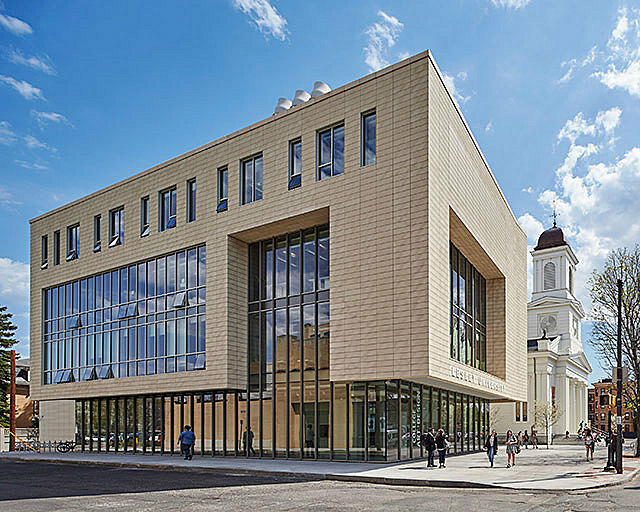 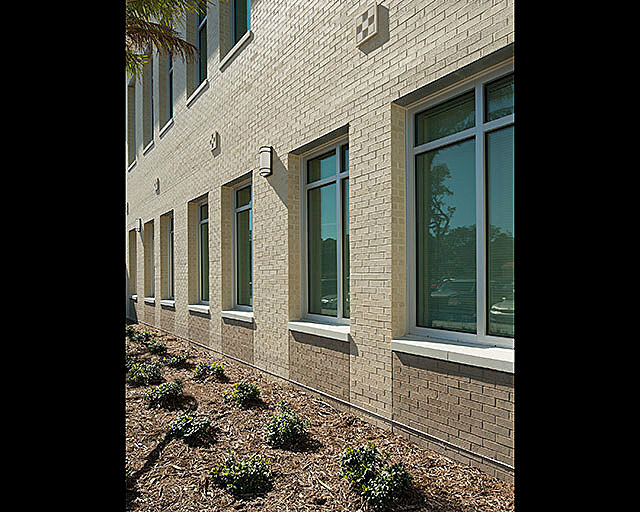 The new building is informed by the church’s scale and detail, and its terra cotta elements harmonize with the neighborhood’s brick and clapboard context. 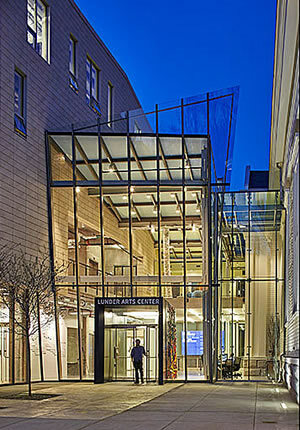 The transparent ground floor entrance and gallery add vibrancy to the streetscape. 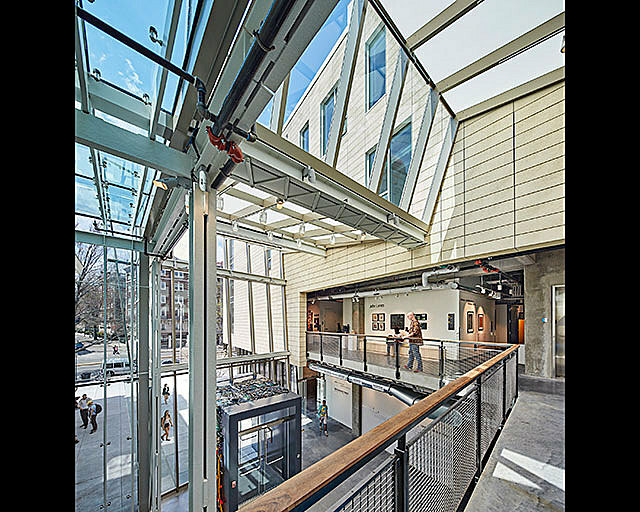 With its galleries, studios, and art-making spaces for new and traditional media, the Arts Center also serves the wider community, offering prolific public events including exhibitions, lectures, conferences, and symposia. Anticipating LEED Gold certification, the complex leverages its dense urban site, creates a healthy indoor environment for artists, and uses 40 percent less energy than a building designed to current codes. 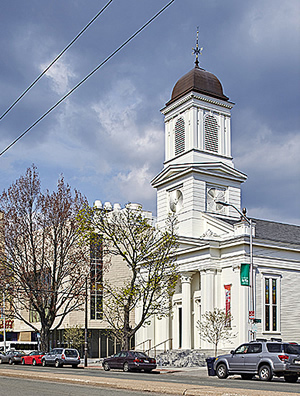 The North Prospect Congregational Church, listed on the National Register of Historic Places, was initially moved from Harvard Square to a corner site in Porter Square in 1867 and decommissioned in 2006. 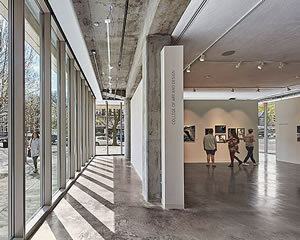 The structure was moved again — to the front of the lot in a more prominent site position as part of this project. 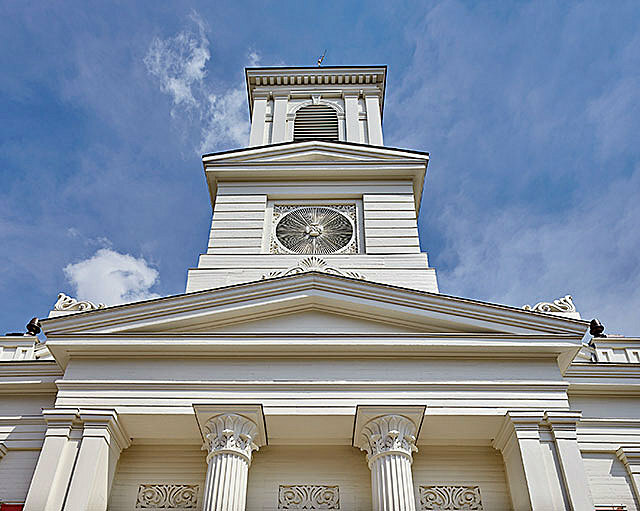 The historic exterior has been restored to its early 1900s appearance, and the interior reworked and converted to house the school’s library and graphic design studios.